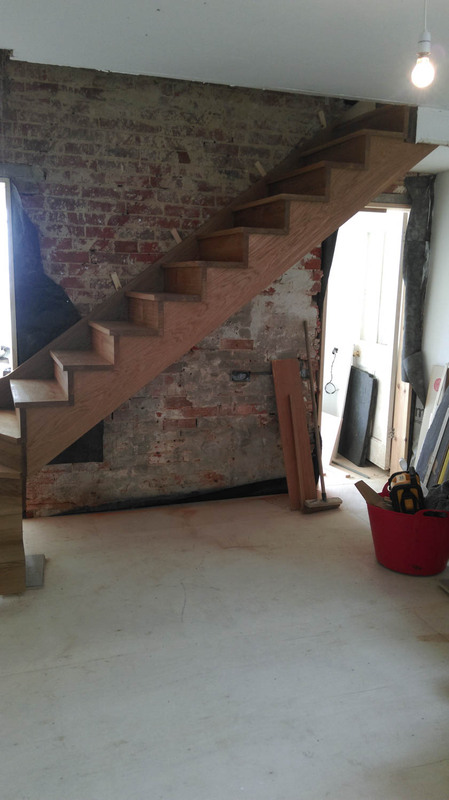 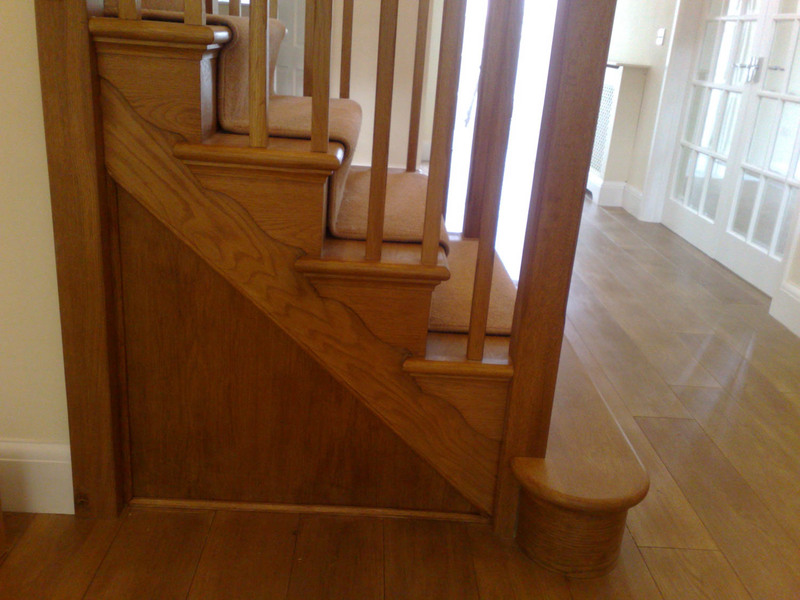 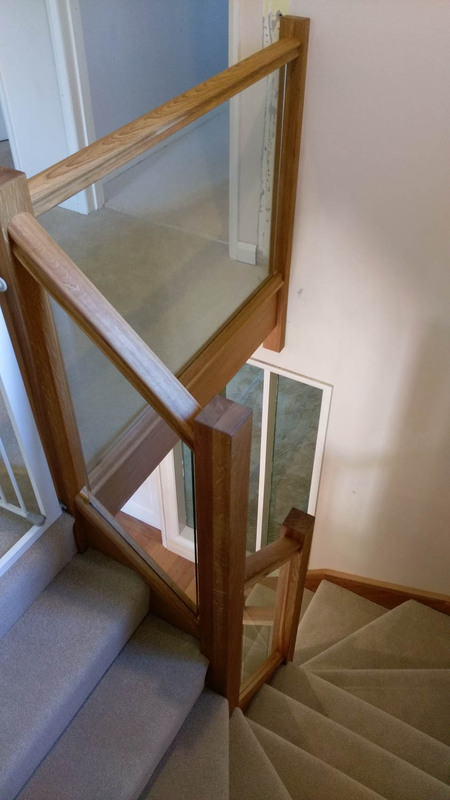 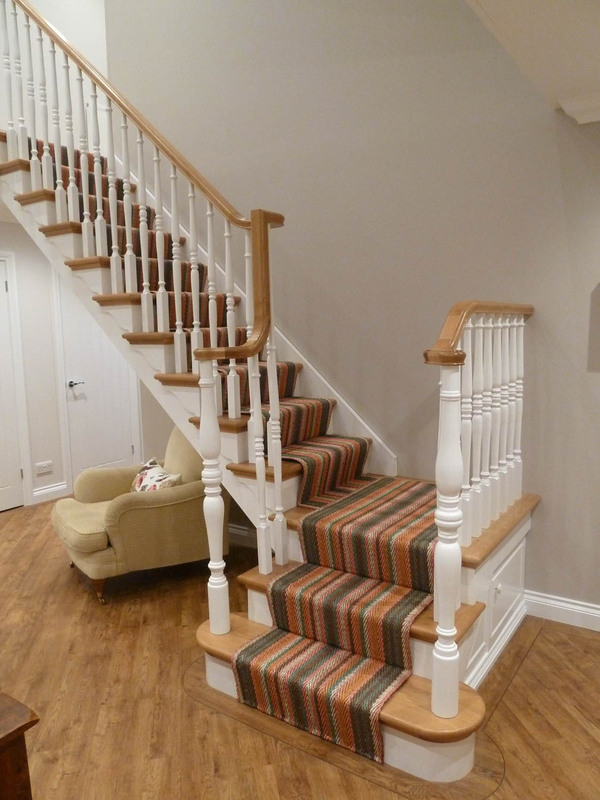 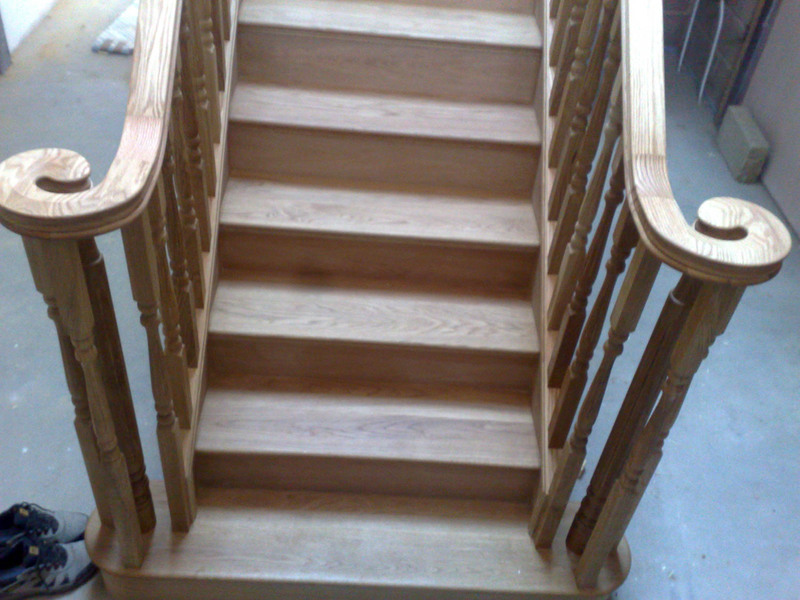 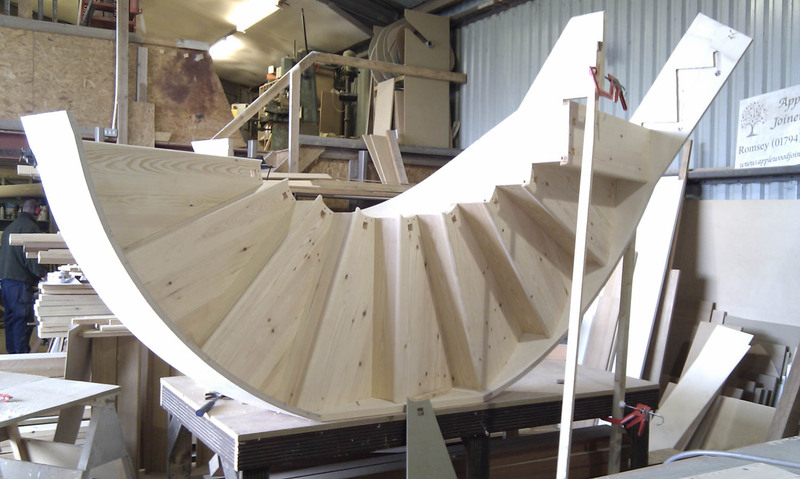 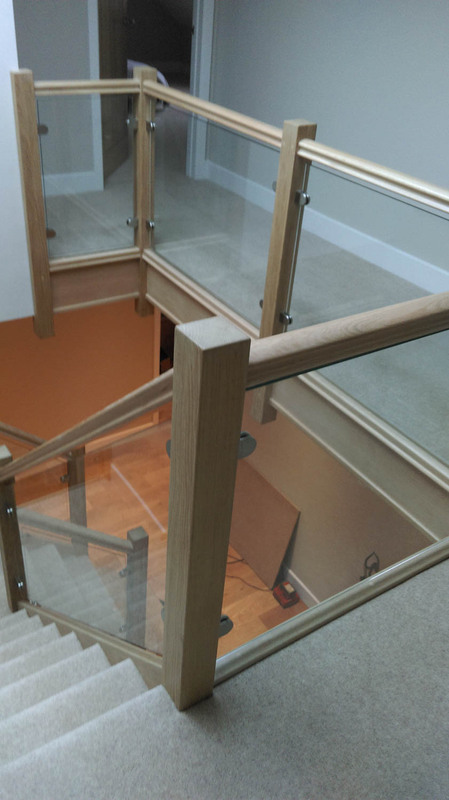 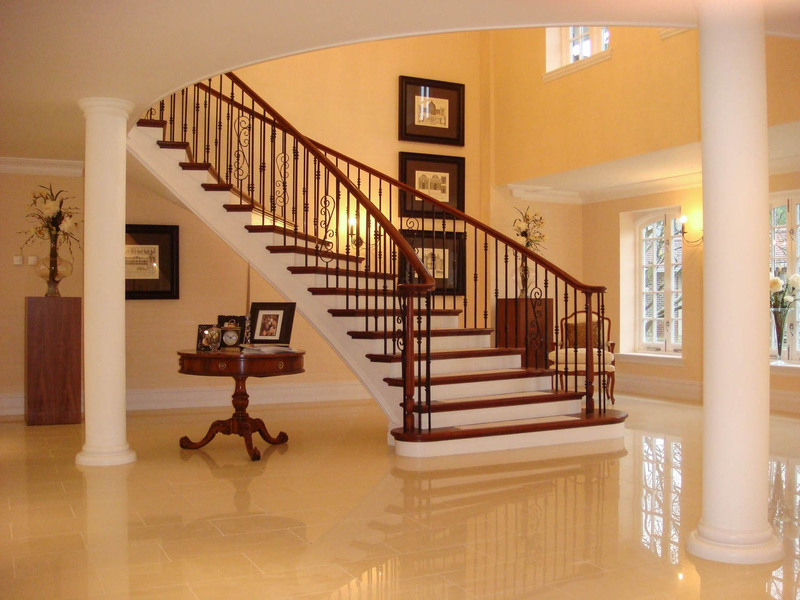 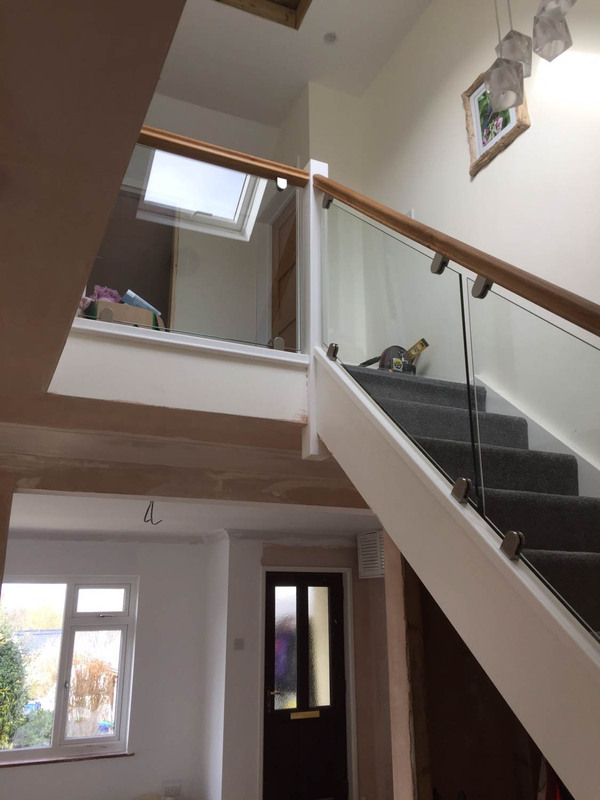 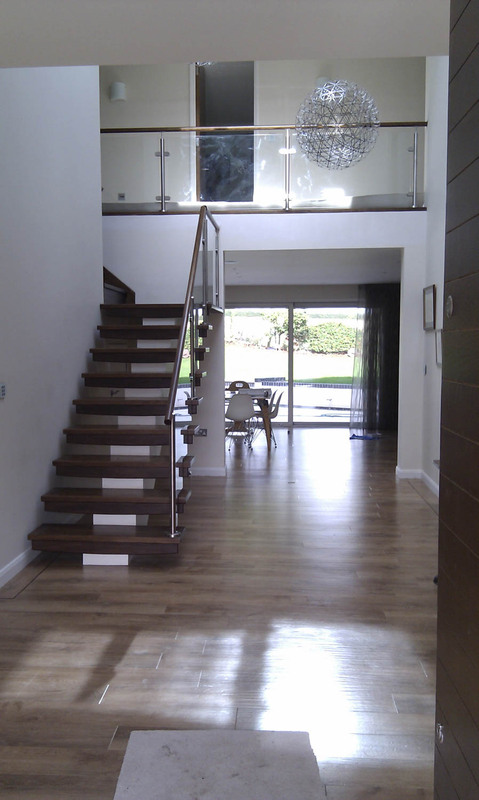 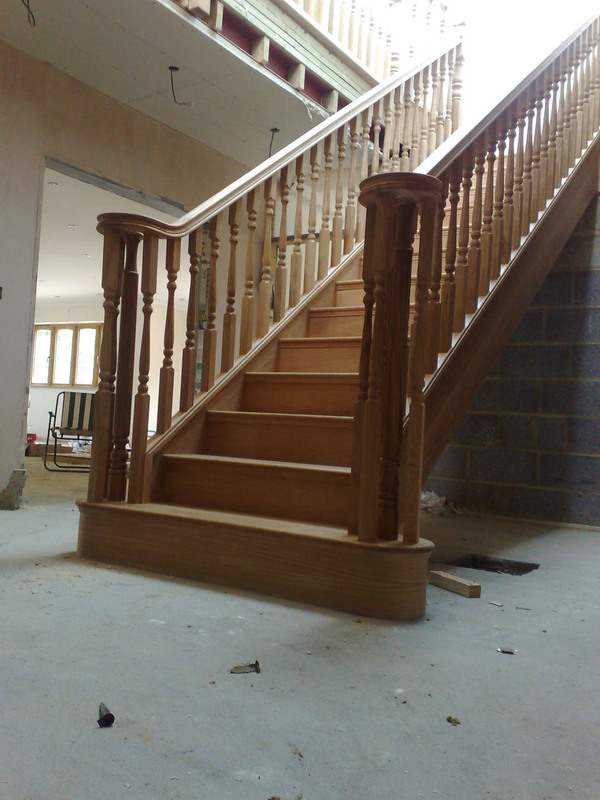 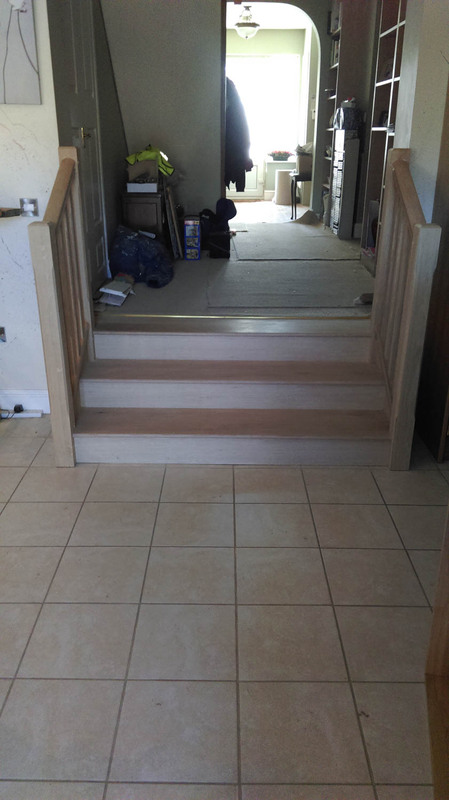 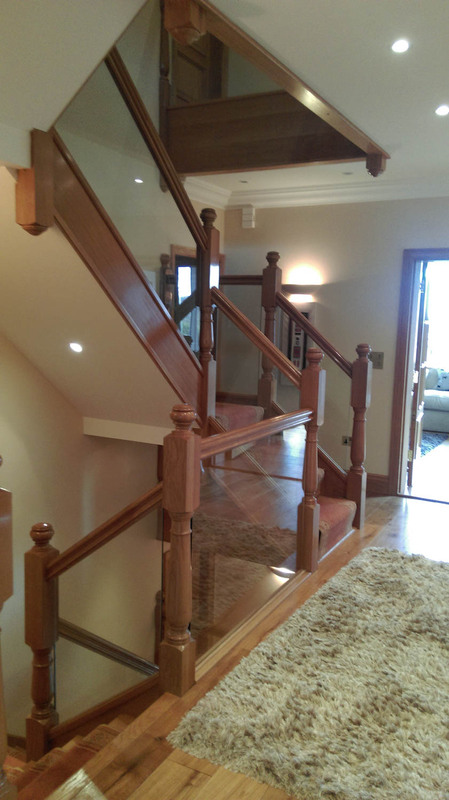 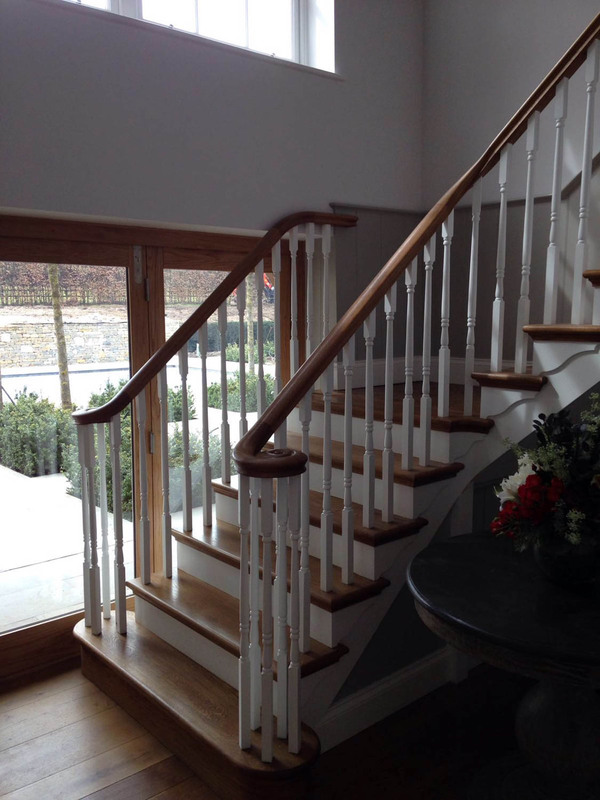 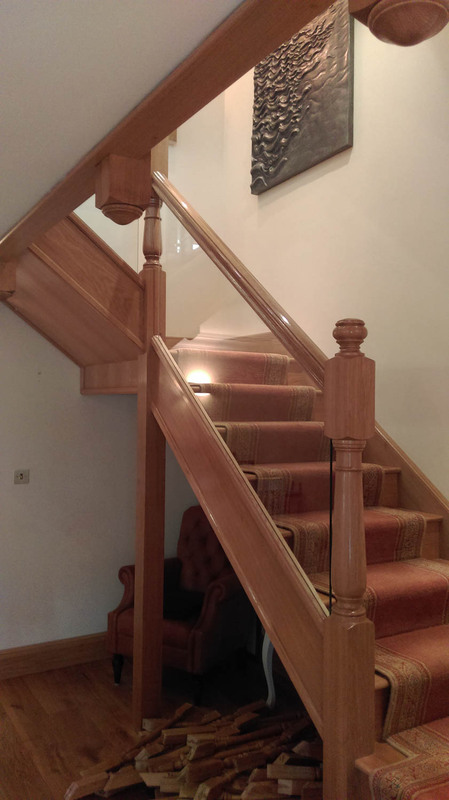 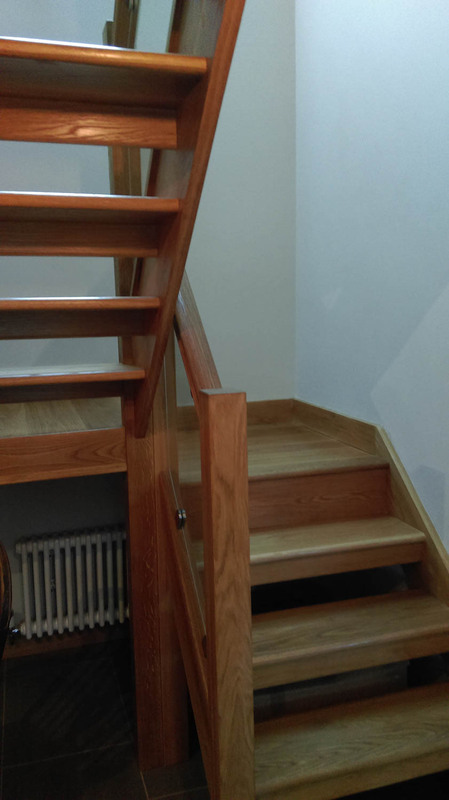 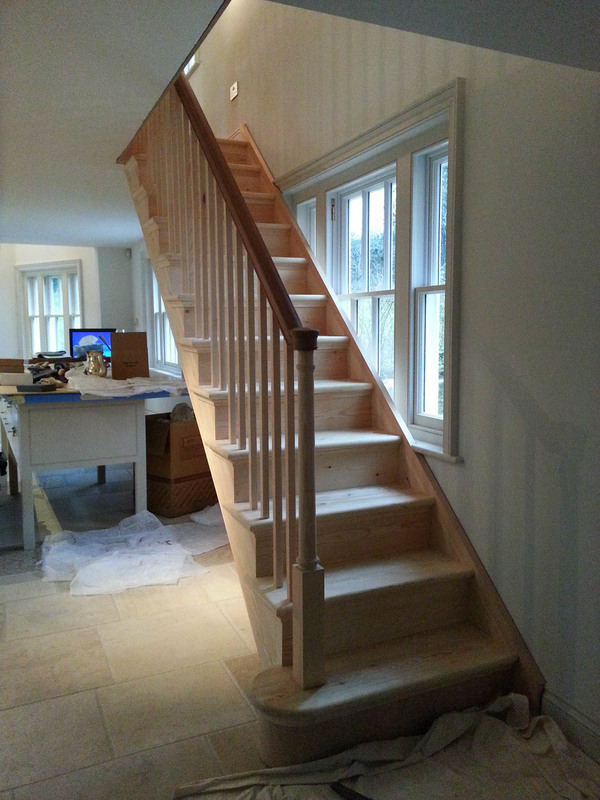 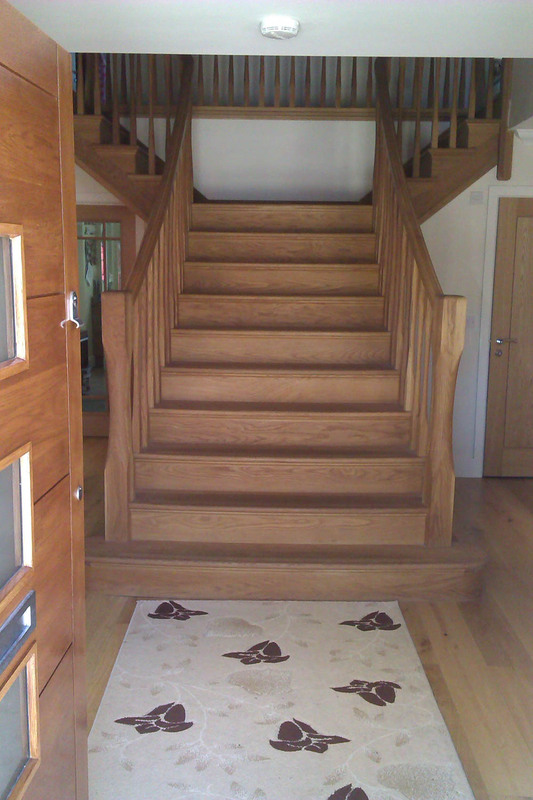 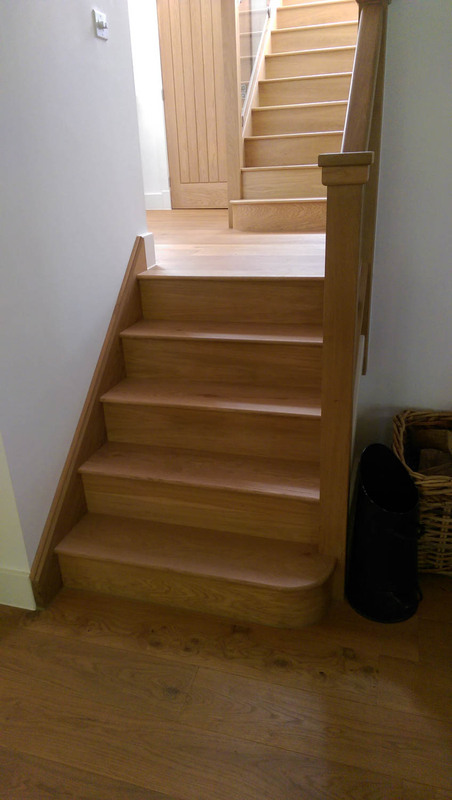 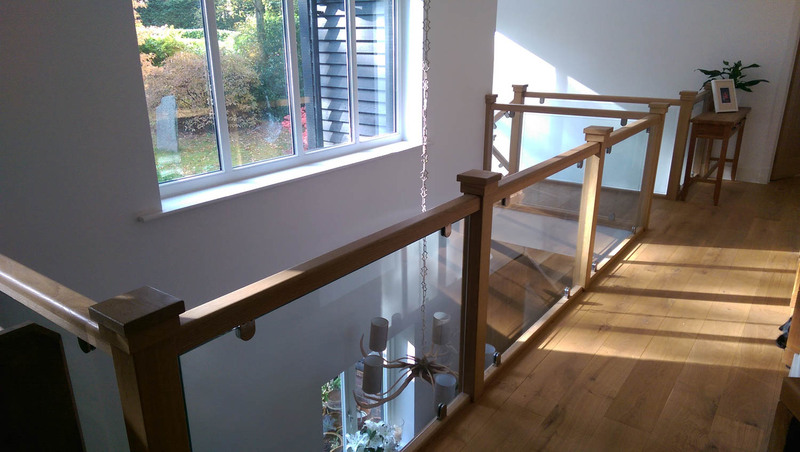 With over 40 years of experience in the manufacture and installation of bespoke staircases, Applewood Joinery can survey your home, offering expert advice and detailed assistance when you are considering your staircase options. 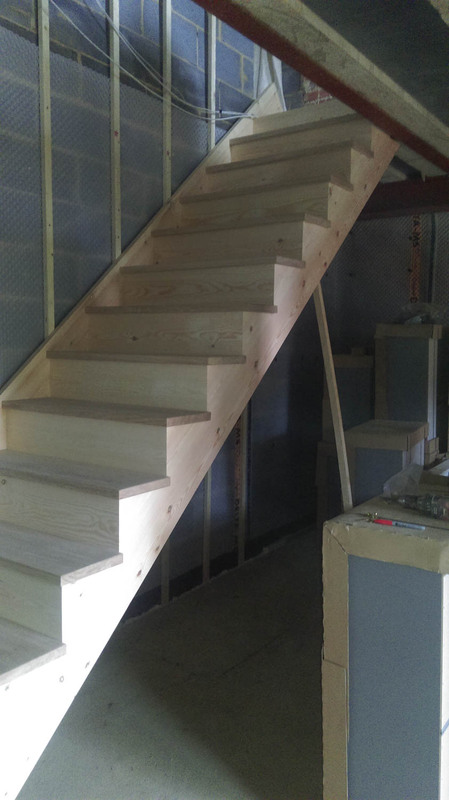 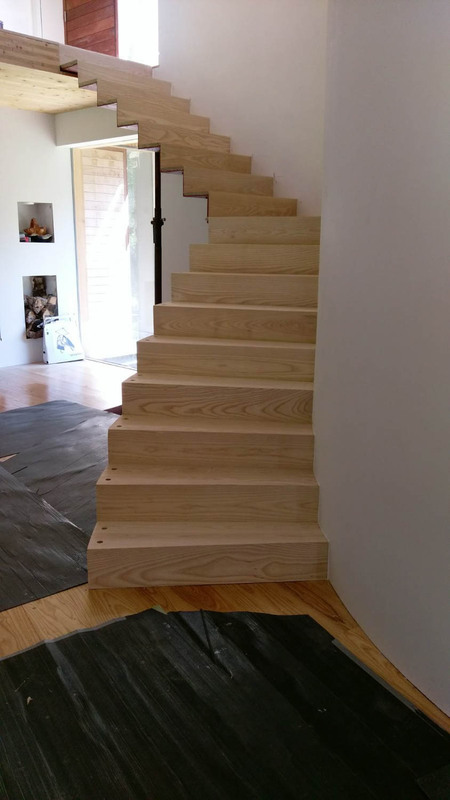 Staircases can be manufactured and assembled to your exact design, with compliant installation by our certified fitting team. 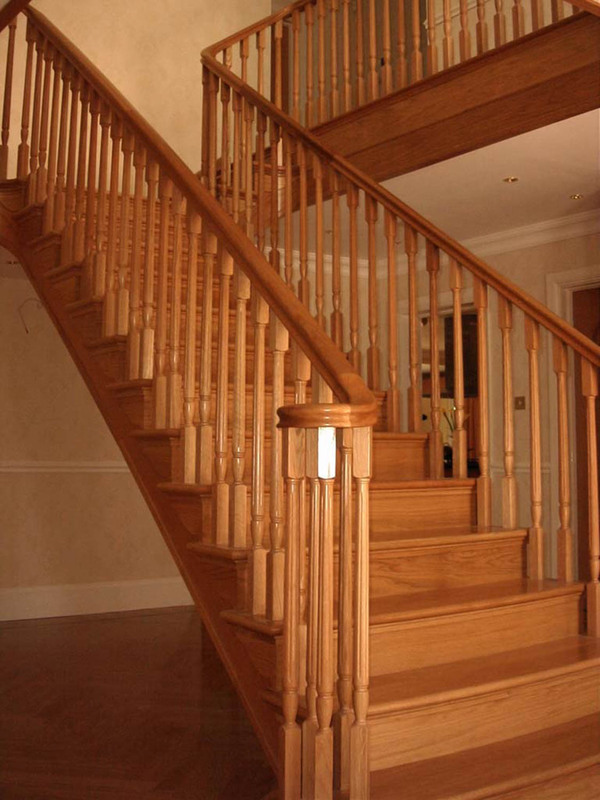 A common feature of stair furniture dating back to 17th century Western Europe, spindles are a traditional element of baluster design. 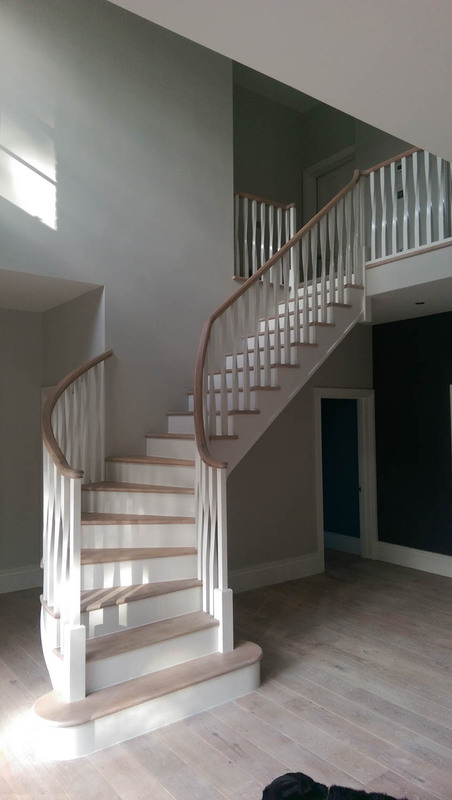 Spindles can incorporate decorative beading, graceful twists and classical fluting detail to create an exceptional feature and transform your living space. 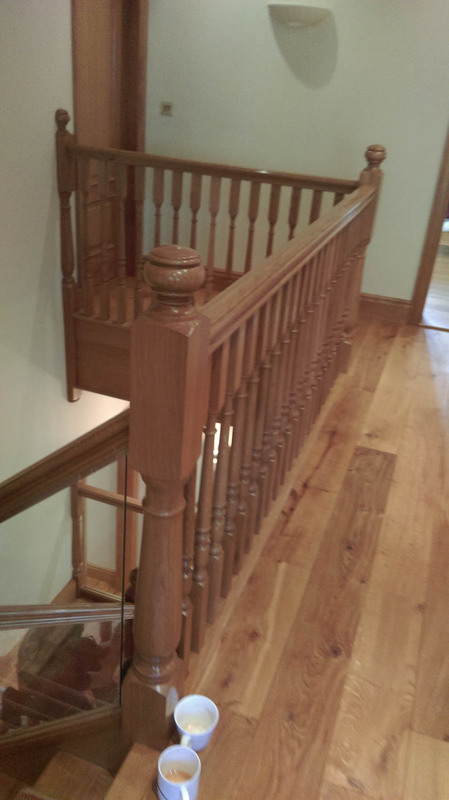 Our range of spindles are turned by-hand using a lathe. 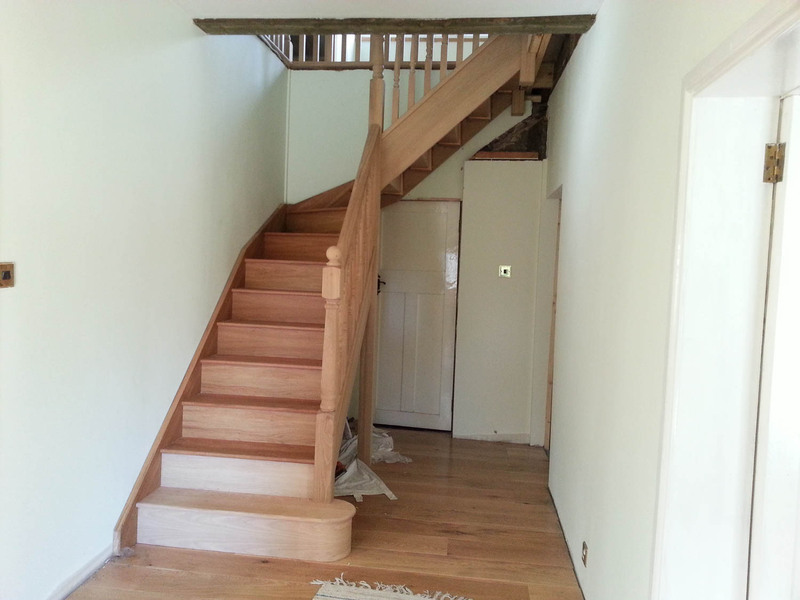 A square piece of timber is rotated on its axis and is manipulated to form any spindle design: whether slender, chunky, simple or extravagant, the choice is entirely yours. 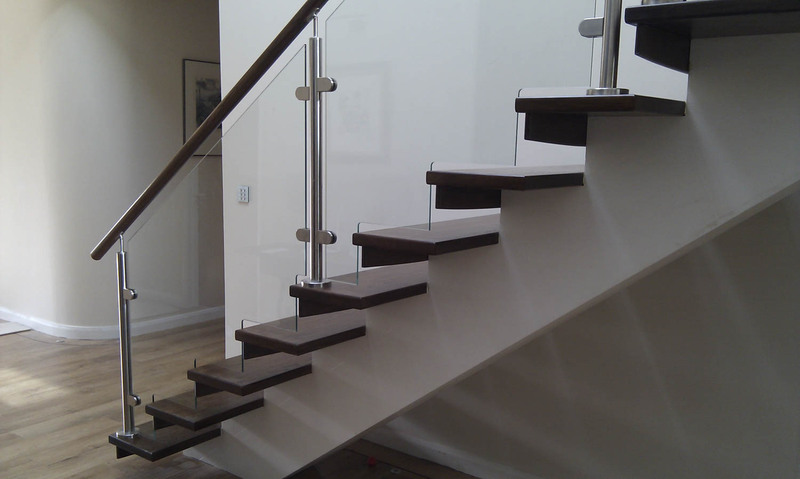 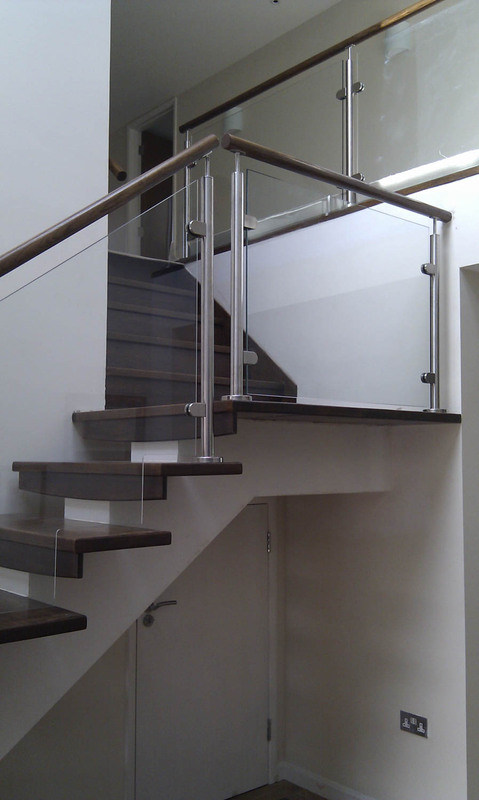 Staircases can feature our unique polished edge glazing units to complete a contemporary and classy look. 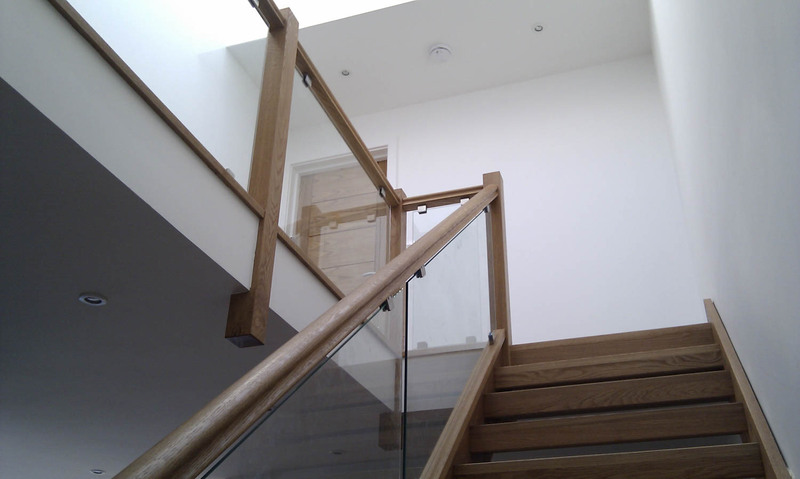 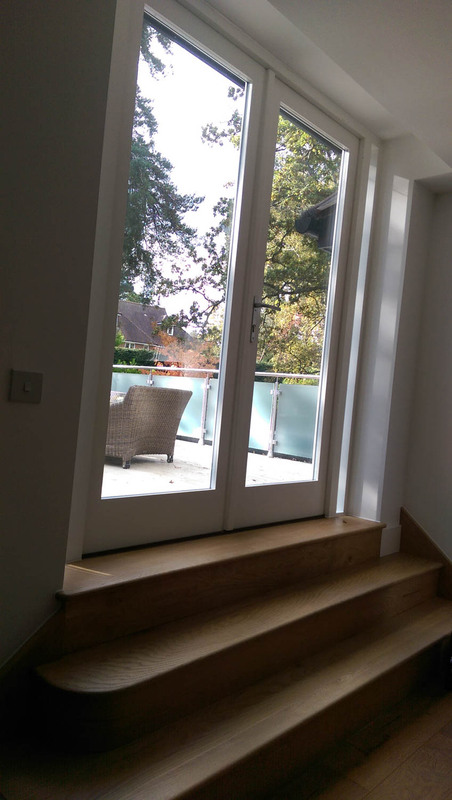 An Applewood Joinery Glass Staircase is a visually aesthetic option which adds natural light to create a modern and open living space. 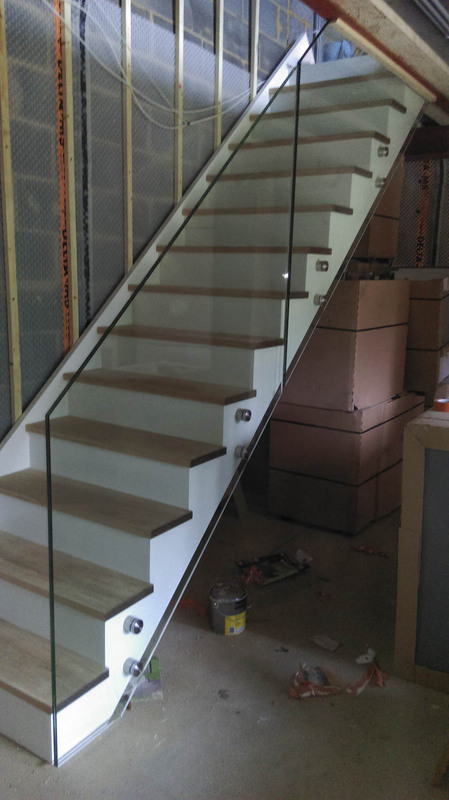 Your stair glass can be grooved into the handrail and baserail or hung on selected metal brackets. 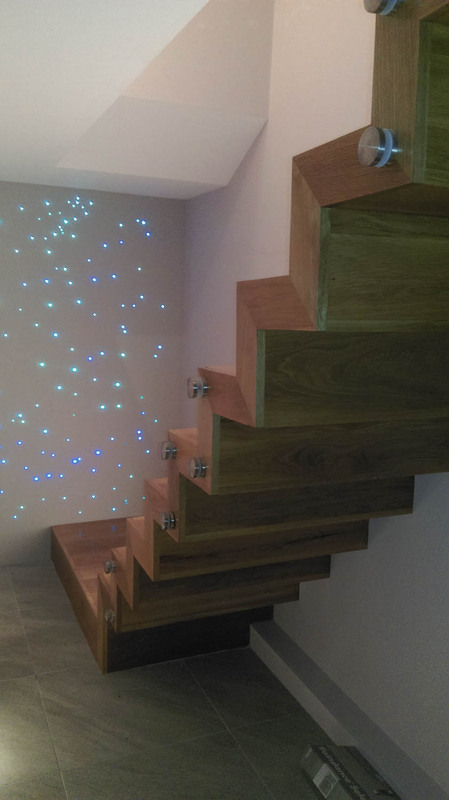 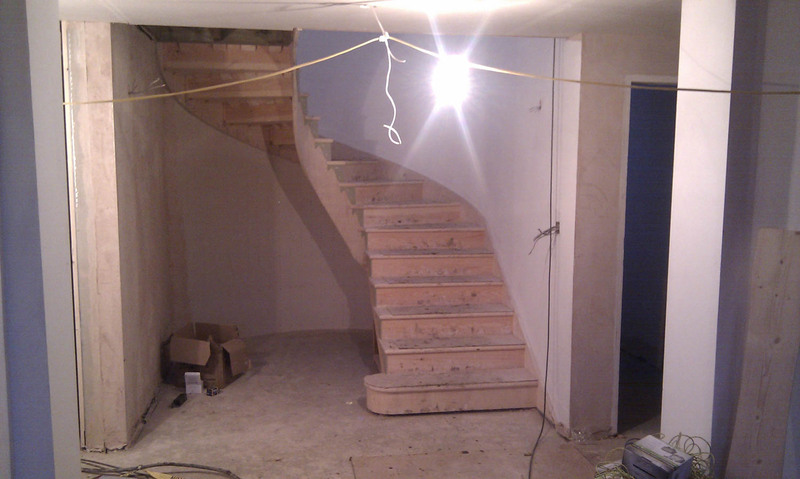 We can also incorporate lighting effects to give your staircase a truly exceptional appearance. 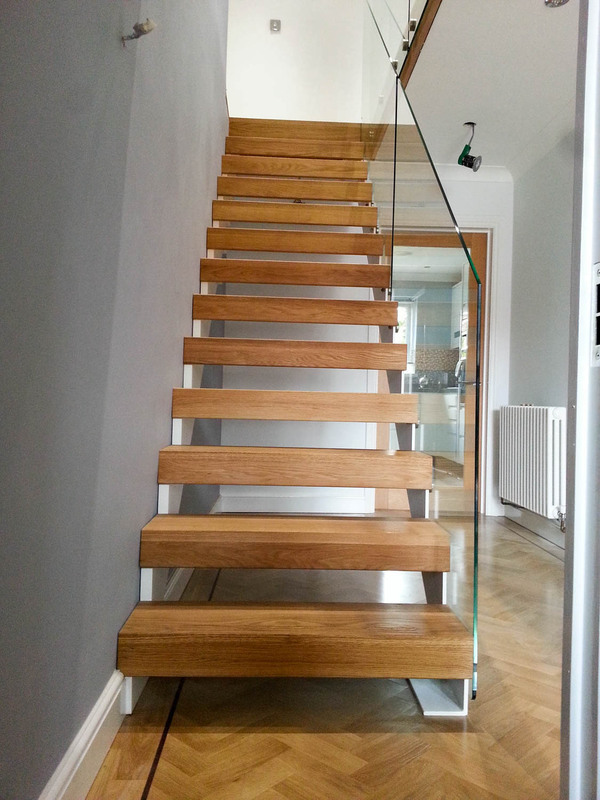 A prominent feature of the open riser staircase is the creation of spaces between the riser and the tread. 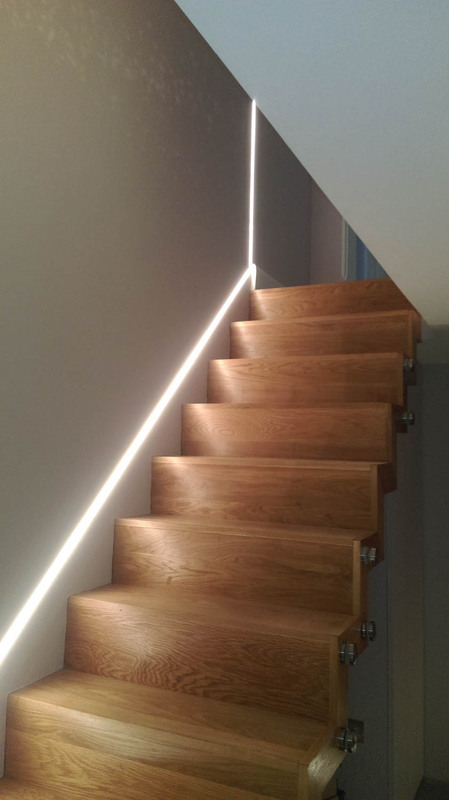 This allows additional light into otherwise dark hallways, ensuring your home is bright and inviting. 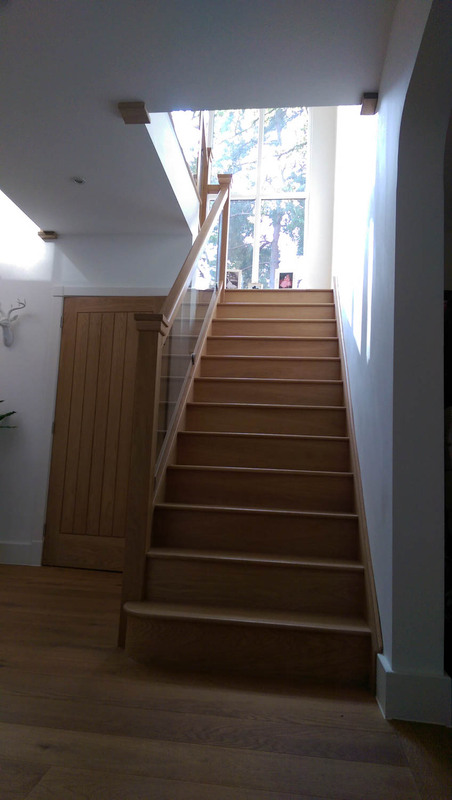 Enthusiastically designed, the Applewood Joinery Open Riser Staircase generates a fresh, spacious feeling - a fantastic addition to your home. 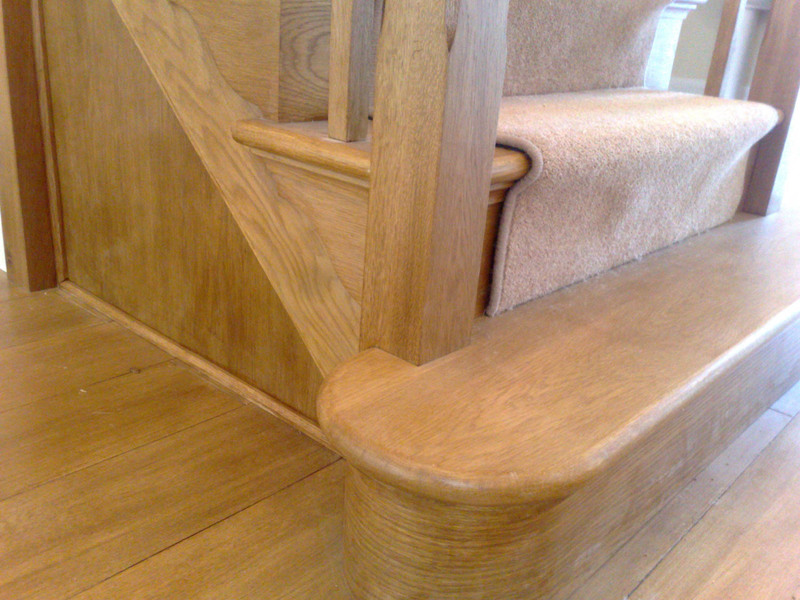 With subtly curved side strings, a swept staircase will be the focal point of your home. 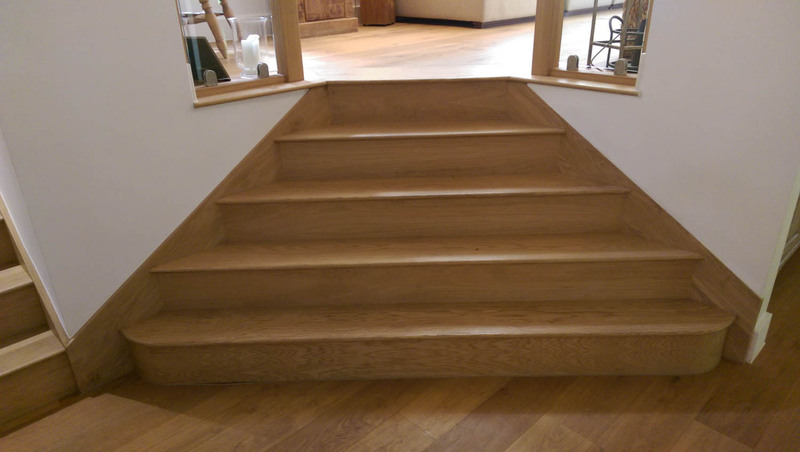 A truly attractive and enticing feature, the Applewood Joinery Swept Staircase is carefully designed to maximise the statement this staircase will create! 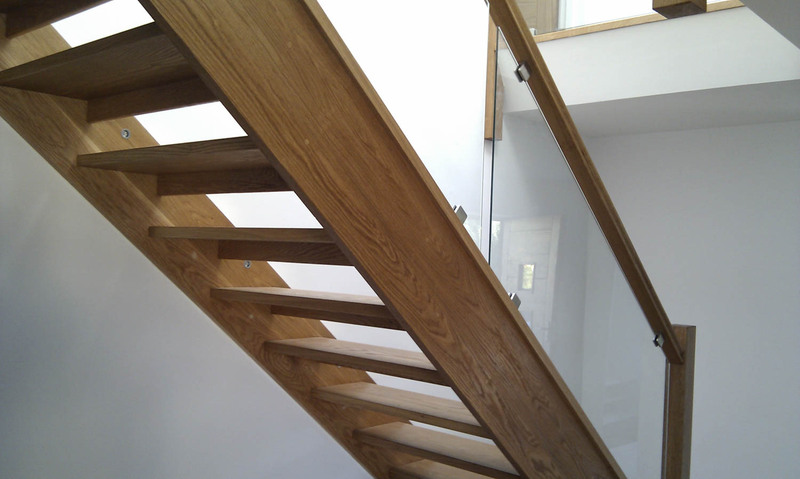 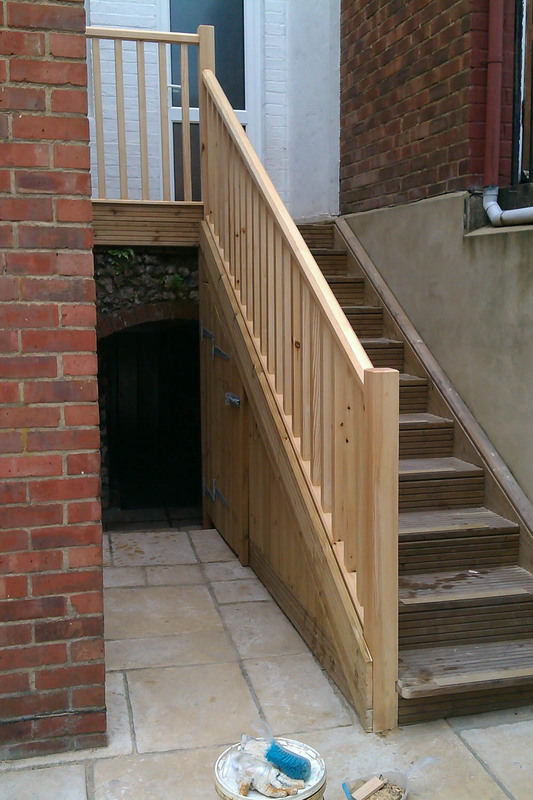 Resistant and robust, the Applewood Joinery External Staircase will prove to be a long-lasting addition to your home. 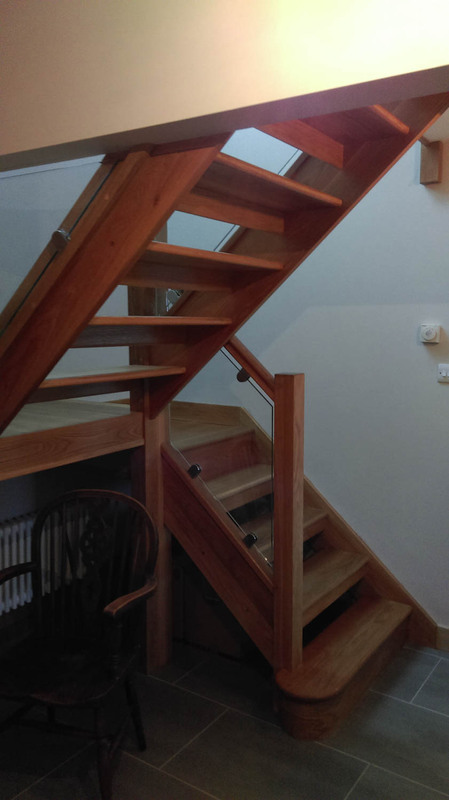 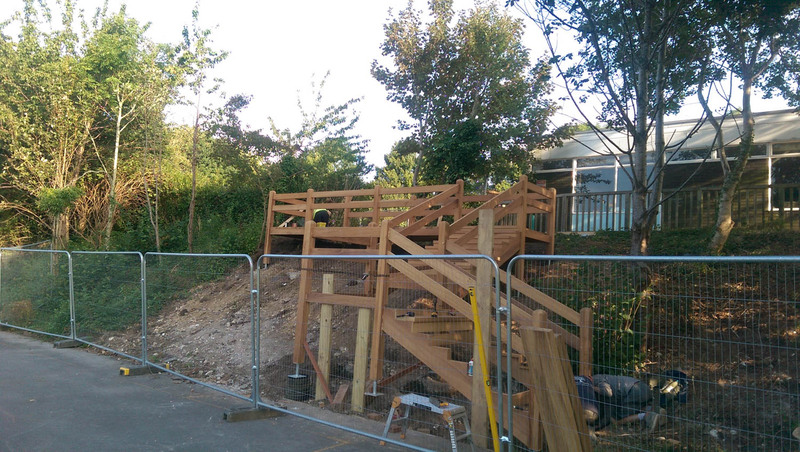 Often produced in Iroko, our external staircases can be left untreated because Iroko is a very durable hardwood, containing natural oils. 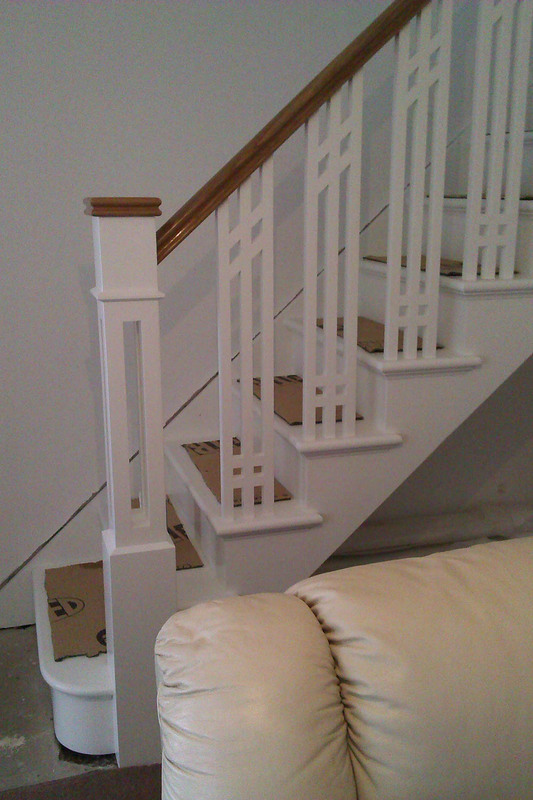 Alternatively, we can finish with our three-coat paint system. 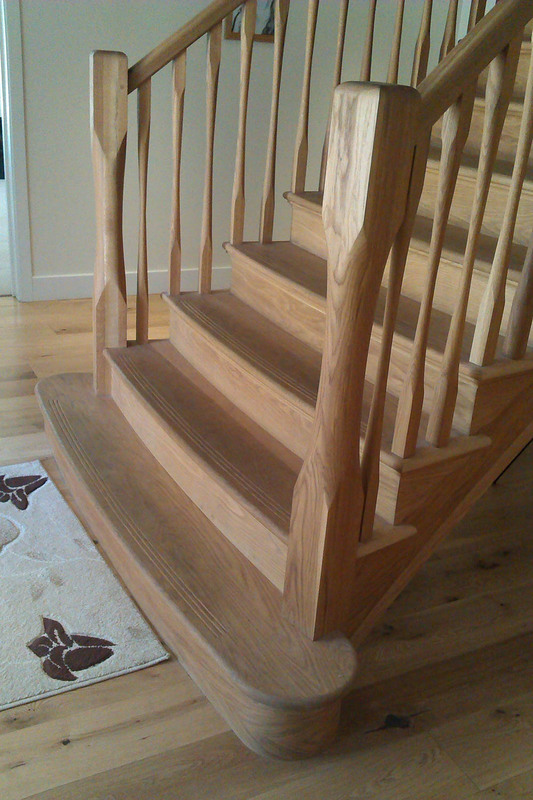 For further information, please visit our dedicated stair website: http://applewoodstairs.co.uk.